How much rain did the Triangle see? WAKE COUNTY, North Carolina (WTVD) -- For the past 24 hours, rain has been pouring out of the sky, covering most of the Triangle in inches of rain. The rain has made driving slightly dangerous, causing dozens of accidents, and it has even made everyday activities such as walking your dog rather unpleasant. But just how much rain has fallen over the last day? Lakes, ponds, creeks, rivers and other bodies of water in the county have also received a significant amount of rainfall. 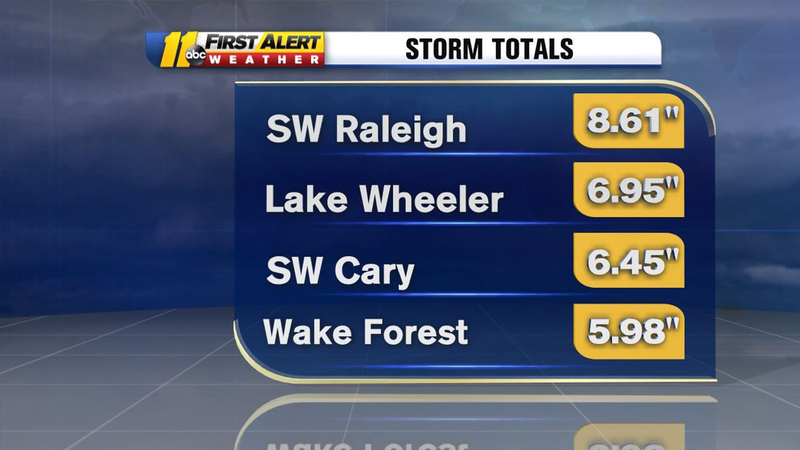 For a complete list of rainfall totals for the Triangle click here.